It will orbit the Sun for the foreseeable future which, in this case, is a very long time. You can now browse Herschel’s online image showcase OSHI using an App on your iPhone, iPod or iPad. producing fantastic and astonishing results which can even be downloaded directly to your iPhone/iPad! It’s been an astounding ride since then, and it just keeps getting more and more interesting! I’m going to be one of the speakers at a discussion on The City as Creative Energy at the Architectural Association tomorrow evening. I think it’s an open even but check with the AA if you’re planning to come. We’ve been sitting on this image since just before Christmas so that it could be unveiled during the BBC Stargazing Live show last night, but I’ve been aching to get this onto the blog ever since I saw it. This is a Herschel image of our nearest neighbour galaxy, the Andromeda galaxy, also known as M31, along with comparison images at other wavelengths. 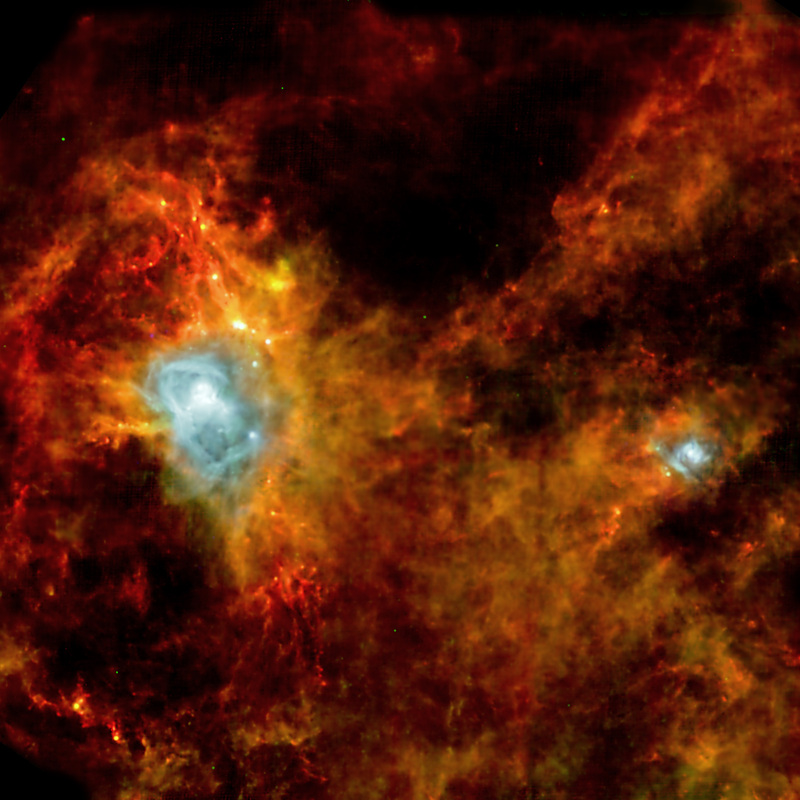 The Herschel data shows where stars are forming and where starlight is absorbed by dust. Images in the optical show us where stars are now, and the complementary X-ray data from XMM, ESA’s X-ray space telescope, show us where stars have died. 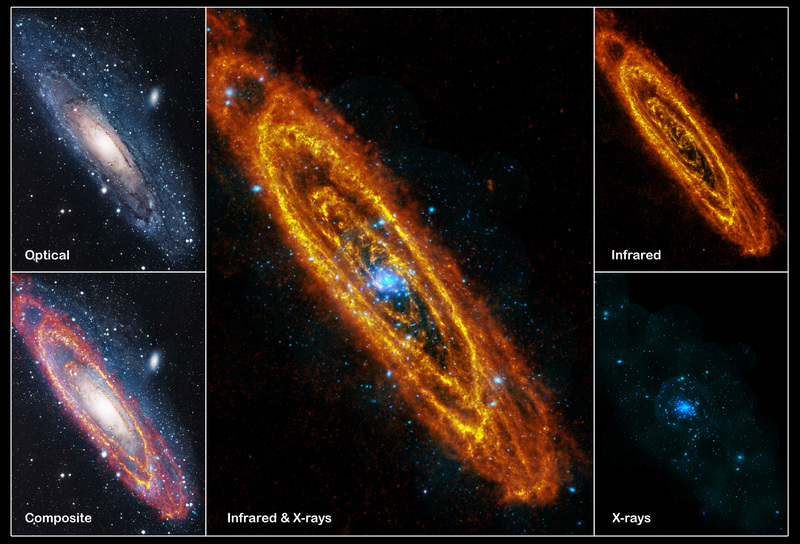 The different locations picked out by these different wavelengths give hints as to how the Andromeda Galaxy has changed and evolved over its lifetime. More information available from ESA, and from the BBC. In 2010, there were 33 new posts, growing the total archive of this blog to 159 posts. There were 7 pictures uploaded, taking up a total of 3mb. The busiest day of the year was May 6th with over 2000 views. The most popular post that day was Data and Data Access. The top referring sites in 2010 were slashdot.org, science.slashdot.org, news.bbc.co.uk, planckmission.wordpress.com, and qprdot.org. Some visitors came searching, mostly for herschel space observatory images, herschel space observatory, herschel, herschel blog, and herschel space telescope. … we are Men with a Mission. I feel compelled to point out that while I and my colleague Andrew might be men, there are plenty of women working on Herschel and Planck as well! It was an exciting time at the end of last week when the H-ATLAS consortium’s first paper to the journal Science came out. As a co-author I’ve been aware of this result for some time, but it was interesting to see how it got taken up by the press etc..
What we’ve found is that some bright sources seen by Herschel that appear to be associated with fairly nearby galaxies, in cosmological terms at least, are in fact dusty objects behind those nearby galaxies, having their far-IR light amplified through gravitational lensing. The process is illustrated in this figure form one of our press releases. This result started off a long time ago, when the author of the paper, Dr Mattia Negrello, produced models in his PhD thesis of the sources we might expect to find in the Herschel surveys and came to the conclusion that many of the brightest objects would be the result of gravitational lensing. This result was included in the proposal for the H-ATLAS large area survey but I suspect that a fair number of us thought that this aspect of the proposal was a long shot – hugely important if it worked, but not that likely to be the case. When the first H-ATLAS data came in and we started looking at the brightest reddest sources, though, it looked as if Mattia might have been onto something after all. But we couldn’t be sure. What followed was a rapid dash around many telescopes to get the multiwavelength data needed to confirm the nature of these objects. We needed optical and near-IR imaging, some of which came from Keck, we needed high resolution submm interferometry, which came form the SMA, and we needed submm spectroscopy, which came from the CSO and PdB interferometers. More data is coming from Spitzer and elsewhere, and this will appear in future papers. This is truly multiwavelength astronomy at its best, bringing a wide variety of tools and techniques together to produce the final answer. And that answer is that Mattia was right, and there are lots of lenses to be found in the Herschel surveys. More than that, the lenses are easy to find. Previous searches for lenses in the optical and radio have had hit rates – ie. the number of lenses found to number of candidates looked at – as low as 1 in 1000. With Herschel, we seem to have a hit rate of 100%. This has several implications. Firstly we can use the lenses as gravitational telescopes, allowing us to look at very distant objects that are much fainter than would otherwise be possible. Secondly, since mass is responsible for the lensing effect, we can use these systems to look at dark matter and how it evolves. It’s early days yet, and the initial crop of lenses from H-ATLAS are just 5 in number, but this was based on less than 3% of the final H-ATLAS survey, and there are other Herschel surveys, like HerMES, that are adding to the database. Larger surveys with these lenses central to the science case are also planned, though we have yet to be awarded the time. This result is also a great example of how science works. Mattia came up with this prediction as a student and has tested it in his postdoctoral work. It’s not often that the predictions and tests are done by the same person, but this is generally how things are meant to go. The media, needless to say, has been quite interested. The story has been picked up from India to Italy. It’s also appeared on David Ike’s forums though quite where this result fits in with UFOs and alien conspiracy theories I don’t know. Perhaps most significant is that the BBC Today programme’s science correspondent was moved to write about it on his blog even though BBC journalists were on strike that day. All in all, a great achievement for Mattia, for H-ATLAS and for Herschel! … but instead, we’re swamped with a combination of SPIRE-related technical work, miscellaneous activities for our home institute (such as teaching, and the list goes on) and bottom of the pile, finding time to do some actual science. The various science teams are retrenching/reorganising to produce new papers/results now that the hectic Science Demonstration paper era has now passed – so expect to see a whole new slew of results over the next few months on here. In the meantime, you can read the full Astronomy & Astrophysics Herschel special addition – for free!